HHS Strengthens Health Information Privacy & Security, is it Enough? The National Health and Human Services department has announced new rules intended to strengthen the privacy of your health information. The goal of these new rules is to ensure that as use of health information technology expands, Americans can trust that their health information is protected and secure. The new rules include broader individual rights and stronger protections when third parties handle individually identifiable health information. expanding individuals’ rights to access their information and to restrict certain types of disclosures of protected health information to health plans. prohibiting the sale of protected health information without patient authorization. The department also launched a new health privacy website at http://www.hhs.gov/healthprivacy/index.html to provide consumers easy access to information about HHS’s privacy policies. Are these steps enough to protect your medical identity? While these steps are important measures for those legally accessing records, it does nothing to ensure that the access to these records through doctors offices across the country are appropriately secured. Where are the security requirements for every single computer and user accessing this information? I believe that online records can improve medical treatment, the risks outweigh the benefits until our records are secure. When we know our privacy is ensured. When we know that some malicious entity hasn’t written a virus changing our medical histories, when we know we can correct mistakes that appear in the online records. These new rules do nothing to strengthen our protections against these risks. 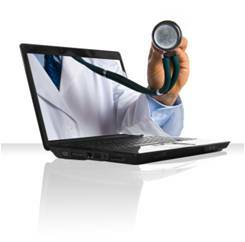 HHS Issue Notification Rules for Personal Health Record Breaches – But What Prevents Breaches? This entry was posted on Wednesday, August 25th, 2010 at 5:09 pm and is filed under Linda's Blog. You can follow any responses to this entry through the RSS 2.0 feed. Both comments and pings are currently closed.